MAN Truck & Bus has reached a landmark agreement with the Road Transport Authority (RTA) Sharjah to deliver its safest-ever coaches to the region on the 8th of January 2018. 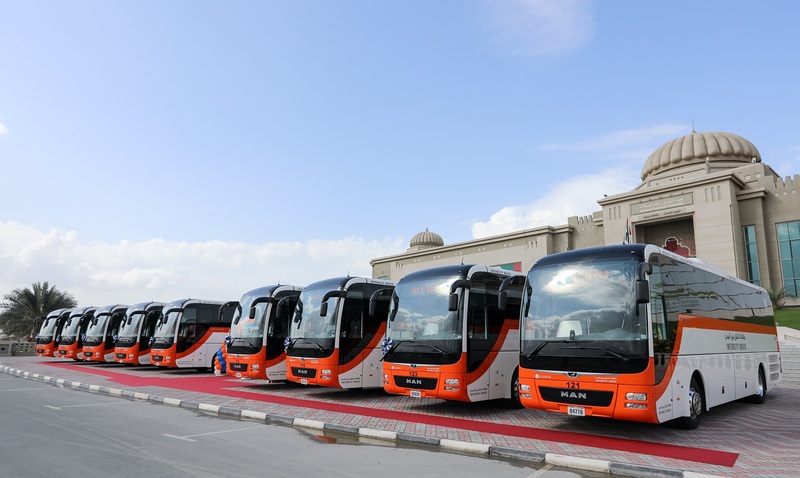 MAN Truck & Bus will supply RTA Sharjah with a fleet of 10 luxurious MAN Lion’s Coaches using industry-leading accident prevention features such as Emergency Brake Assist (EBA), Lane Guard System (LGS) as well as Adaptive Cruise Control (ACC). It is the first time these world-class safety features have been incorporated in a MAN Lion’s Coach in the UAE which supports both the RTA Sharjah’s vision for safer roads in the Emirates and MAN Truck & Bus own commitment towards improving road safety for buses in the Middle East. MAN vehicles are equipped with advanced technology to reduce accidents, improve passenger comfort and ensure efficient and safe driving. The Adaptive Cruise Control and Emergency Brake Assist systems use radar and onboard cameras to detect the speed and distance of other vehicles on the road ahead of the MAN Lion’s Coach. The vehicle automatically adjusts speed to ensure a safe distance is maintained and the Emergency Brake Assist will initiate braking if the driver fails to react to warnings of potential collisions. Likewise, the Lane Guard System (LGS) will warn drivers if they are drifting out of their lane. Mr. Khalifa Saif Darwish Al Ketbi – Managing Director, UMHE will be inaugurating the ties with Sharjah RTA Chairman - Engineer Yousuf Saleh Al Suwaiji.